It all started because farmers who love Precision Ag wanted more. Can you measure how much damage is in my field? This is how SkyClaim was born. Unlike other forms of insurance, farms can have multiple policies with multiple insurers on one field. When a claim is made, each company sends out an adjuster to assess damages. We’ve had customers where their findings are wildly different, ranging between 30 – 80% damaged. Skymatics decided to look at this problem differently than the rest of the market. To work with industry professionals, growers, developers and more to develop SkyClaim into a solution you could count on. Our automated crop damage analysis s capable of generating downloadable reports quickly and accurately. We provide farmers, adjusters, and insurance companies with cost-effective and easy to understand damage assessments. Developing a solution meant problem-solving. Obtain results within minutes with on-demand field damage summary. Have confidence in independent and objective third party opinion of damages. Time-stamped imagery provides an unbiased historical reference. Are able to hire or capture their own imagery. Imagery can be submitted by growers, adjusters, and insurers. Receive precise measurements of damage extent. Reported loss percentages compared with end-of-year yields are within 3%. Producers aren’t the only ones taking notice. Adjusters and insurers are witnessing huge gains from this technology. Insurance companies are able to collect digital data to do truer predictive modeling, hyper-local event tracking, and historical references for claims disputes. Adjusters are gaining efficiencies while also increasing safety. Here’s an example of how loss claims were measured, and how they are now with the SkyClaim Crop Damage Report. The level of detail and reliability has the potential to change the industry. Adjusters are enthusiastic about adding this new technology to their arsenal. 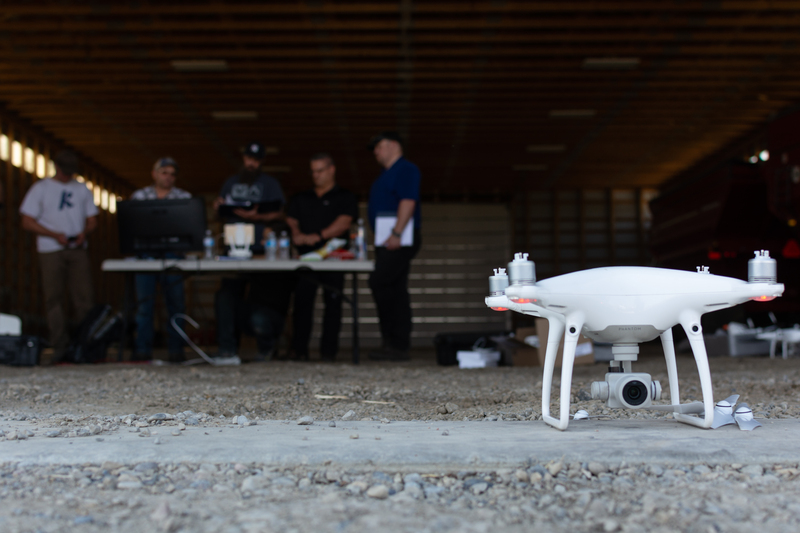 We held an internal training session to prepare adjusters for integrating drones and SkyClaim into their workflow. Now they can scout faster and create loss estimates with drone technology, computer vision, and AI. 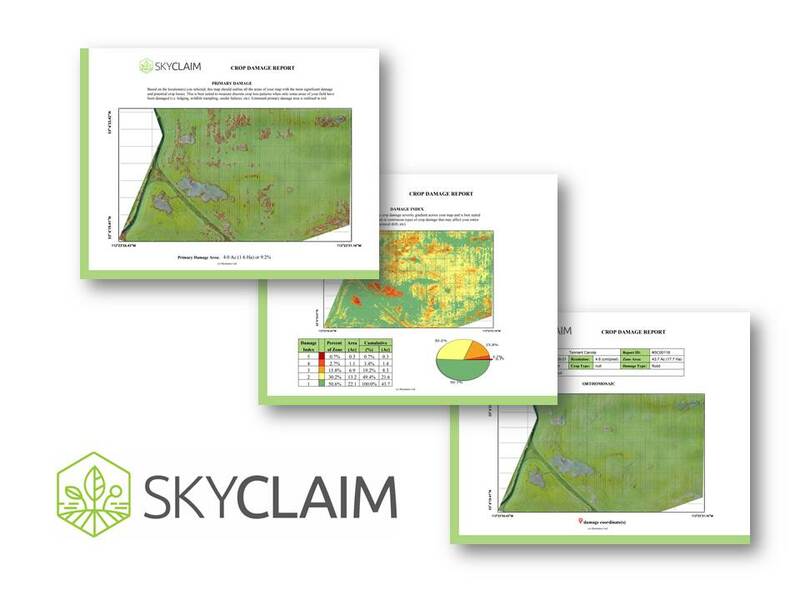 As a result, SkyClaim creates transparency and betters relationships between growers, adjusters, and insurers. Each user group gets consistently accurate information about crop loss. Farmers gain peace of mind, adjusters have a new tool in their toolbelt, and insurers have data they can manage. To see SkyClaim for yourself click here or go to www.skyclaim.io. Create a free account to view demo data and download reports.